This is the first start - the firstboot-wizard appears. Here you can edit the firewall settings if you want. 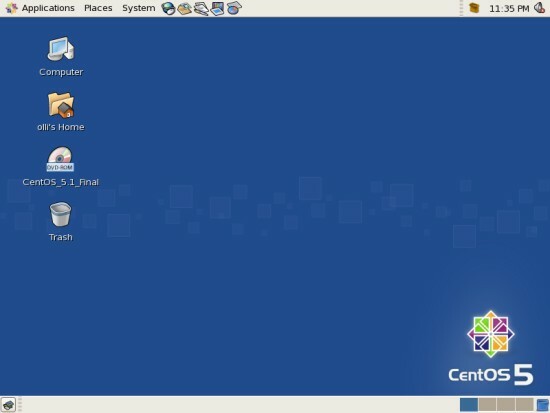 If you're not planning to connect to this computer via ssh/scp/sftp etc you can close the corresponding port. 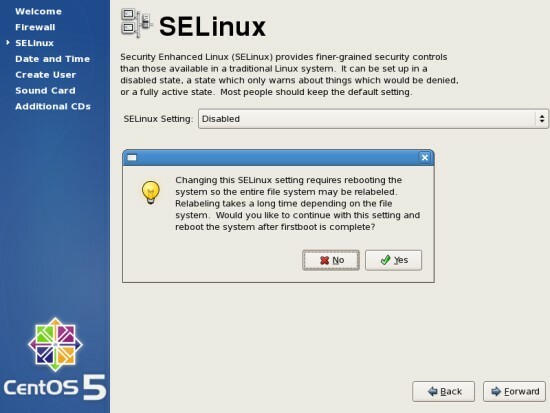 I recommend to deactivate SELinux - it can cause many problems, especially if you're using software from additional repositories. 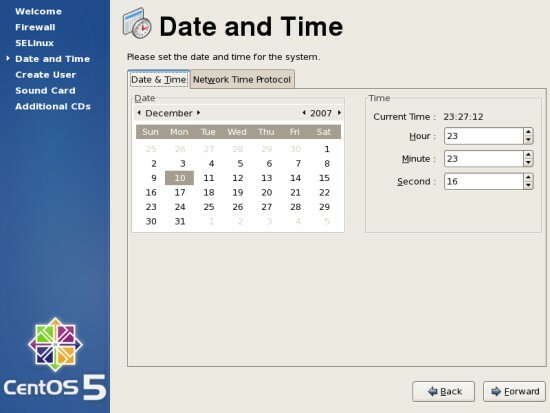 Set the actual time and date. 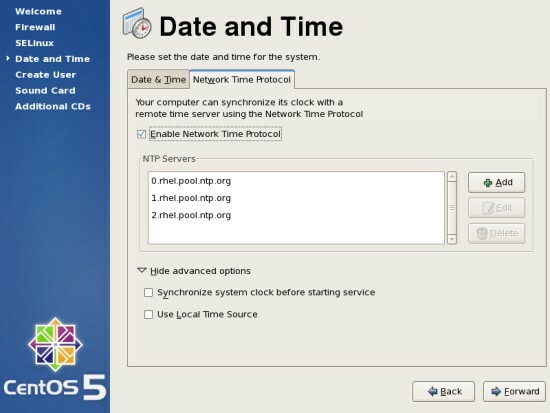 If you enable the network time protocol, the time will be synchronized with a remote time server. Time to add the first user-account to the system. 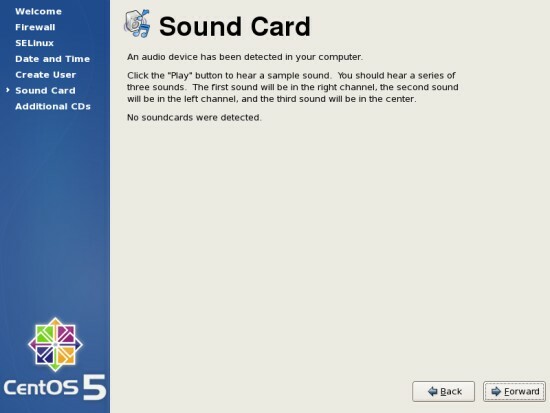 The system will test your soundcard (there was no soundcard added to this vm). 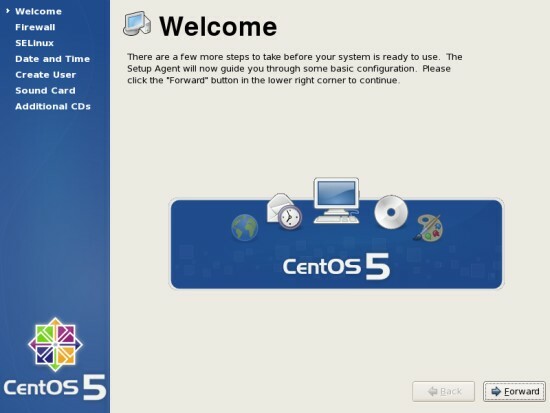 Here you can add software from additional CDs. Afterwards click on "Finish". The system has to reboot now. When the system is up again, you'll see the login window. 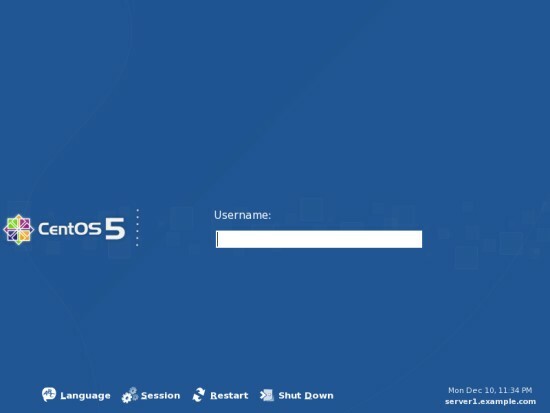 Log in to the system with the userdata you chose in the firstboot-wizard.